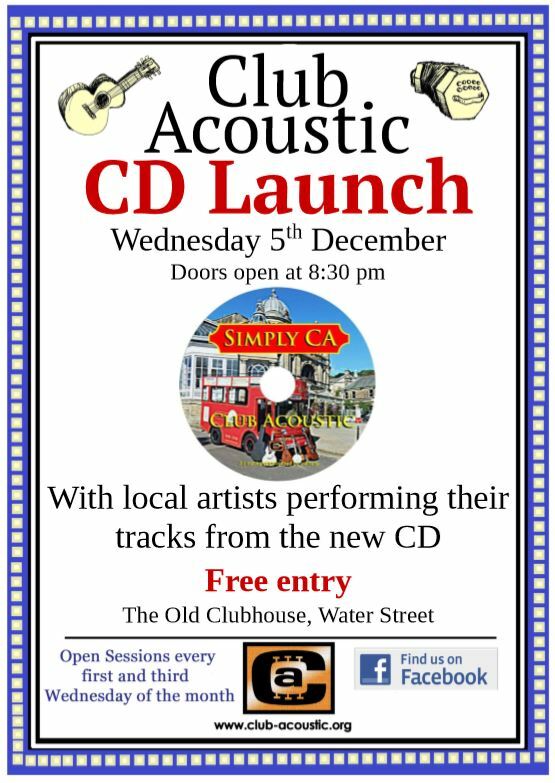 Celebrate Christmas, Club Acoustic style! Wednesday 19th December will be an open session with a festive theme (although you’re free to channel your inner Scrooge if you prefer). 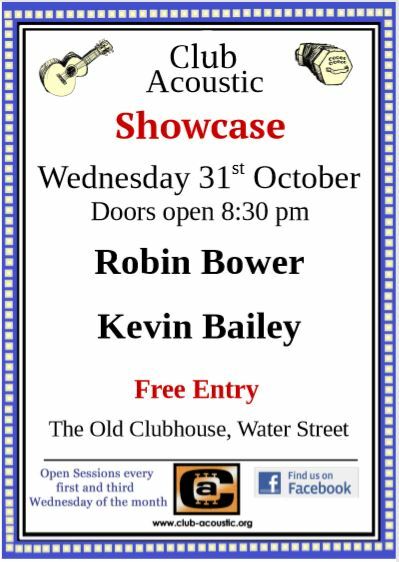 And as a special thank you to all those who come to Club Acoustic, whether to play or to listen, there will be a bit of food as well. As always, entry is free, and all are welcome! Normally, a 5th Wednesday would be a Showcase Concert, but with the Fringe Event last month, we thought the regulars would appreciate more time to play! Wednesday 29th August will therefore be a normal open session. All are welcome, whether you come to play or to listen. Doors open 8:30 pm, for music from 8:45. As usual, it’s completely free!